A Kinetrol USA Northeast Distributor sold a power plant Kinetrol actuators to drive two multi-port, 3-way ball valves located between two filter housings. 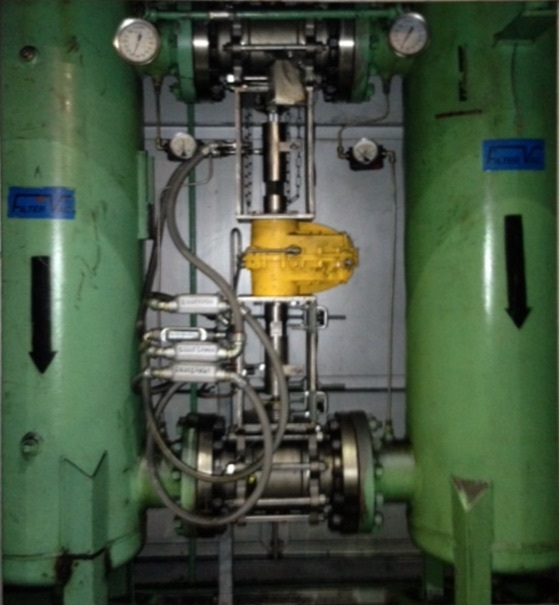 The automated valves provides “on-the-fly” ability to transfer turbine oil service between filters, allowing the unit to run, and maintenance to be performed on the filter not in service. This is an extremely critical service to protect the turbine.